You’ve heard of the Great Pumpkin Charlie Brown??? 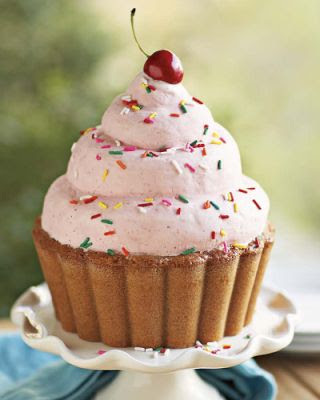 Well, this is soooo much better – it’s the Great Cupcake! I got this fabulous new toy today at Williams Sonoma – I love that store so much. I’ve threatened on many occasion to register there even though I’m not getting married or having a baby and even when I do have a baby – I may truly register at WS. I mean really, the kid and baby daddy will have to eat right? 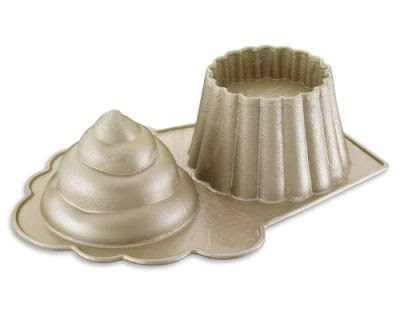 I can’t wait to make a Great Cupcake Cake! Also, for those keeping up, my PB Cup Chocolate Cake was a hit – or so I heard.